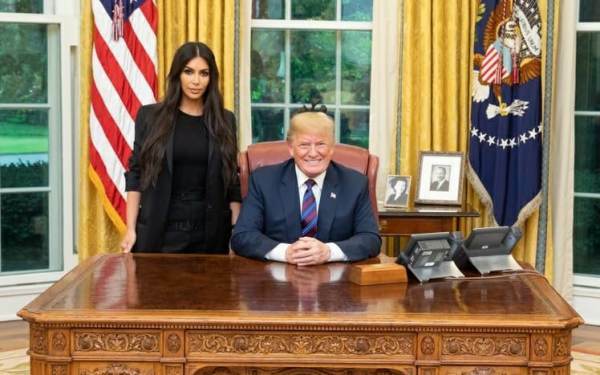 Reality super star Kim Kardashian West praised Donald Trump after meeting with the president on Wednesday afternoon at the White House to discuss prison reform. Accompanied by her attorney Shawn Chapman Holley, Kardashian asked Trump to grant clemency for Alice Marie Johnson, a 63-year-old great-grandmother who has been imprisoned for over 21 years and is serving a life sentence in federal prison in Aliceville, Alabama for a drug-trafficking charge. Kardashian also reportedly spent time at First Daughter Ivanka Trump’s and Jared Kushner‘s home on Thursday.